MailChimp is a well-known email marketing SaaS product. With its generous free tier option, it’s seen as the perfect solution for many startups and small businesses who want to set up and build u their mailing lists. But what many fail to notice is how rich it’s REST API is. Adding new users to your own mailing list in MailChimp. Allowing users to import an existing list of contacts from their MailChimp account into your application and sync them back. If you go into your browser to http://localhost:3000/, you should see a simple page which says “Hello World!”. With that set up, we can now start integrating a bit deeper. // save user details to your database. I’m going to assume you have a database somewhere to save this user to, so let’s skip straight to saving this user to a new list in MailChimp. Your Server Instance – This is also embedded in your API token. It is taken from the last characters after the -. For example my API token is 637274b5ab272affbf7df7d3723ea2a1-us6, therefore my server instance is us6. With all of these, we’re ready to make some REST calls! I personally prefer using a library called SuperAgent to make rest calls (we installed it with our initial npm modules). Authorization – we base64 encode our MailChimp API key and pass it as the Basic auth token. Finally we listen for the response by registering an end handler. In here we check for two states initially. If the status is less than 300 it means the user was successfully added, or if we get back a HTTP status 400 but the title in the response says Member Exists, then the email address is already in this list. In both cases we can report back to the user that they have successfully signed up. If we get any other status code then something went wrong. In this situation, you’d likely want to let the user try again or raise an alert to yourself and manually fix it. Create and Send campaign emails on their behalf from within your app. We’ll grab all the members and store them! If you try it out, you should see that when you click the button you’re asked to log into MailChimp. Then afterwards you’re returned to a page on your local machine —this is perfect. Now we need to handle the OAuth callback from MailChimp. In the above JSON response, the most important piece of information is the api_endpoint. All future REST requests for this user to MailChimp must be made to this server. I shall leave the real exercise of saving this information and the access_token as an exercise for the reader since everyone’s data storage solution is different. Now we can start building a simple UI which lets the user select their List and then imports the Members. After connecting to MailChimp, we redirect the user to the pick-a-list.html page. I’ve kept the logic very simple here. When the page loads we get the email address from the url using URLSearchParams. Then we simply perform an ajax request to our backend to get all the mailing lists for the current user. Once that returns, we add them as <option>‘s into our select. We simply retrieve the MailChimp configuration for the user from our dataStore and make a REST request to MailChimp’s list API. Notice that we construct the MailChimp REST API using the api_endpoint we stored for the user. We also have to pass the OAuth access_token for the user in order to authenticate to their account. If you restart your server and re-authenticate with MailChimp, you should now see the select list in the page populated with your mailing lists! sync them to our database for the user. So here we added a new part to the page which includes a simple html table to render our members. Then we added our change handler which makes an Ajax request to our backend to get the lists members. On responding, we simply clear the body of the table and add our new members. If you compare this to our earlier call to get the lists, you’ll see it’s almost identical. 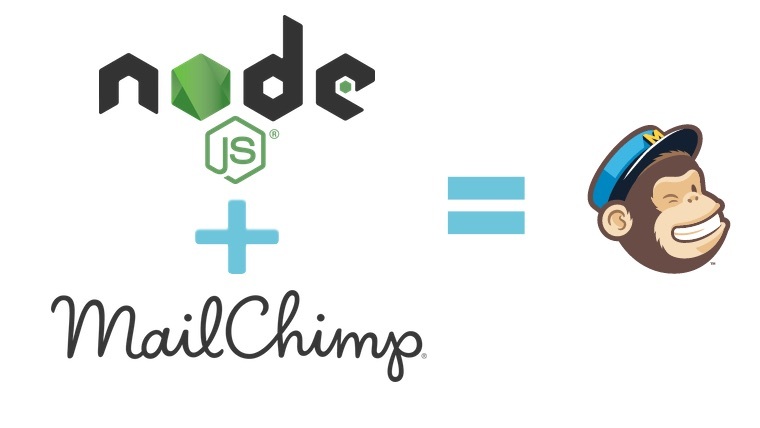 In fact all future API calls to MailChimp now become very simple! Adding notes to mailing list members. Create and view mail templates.